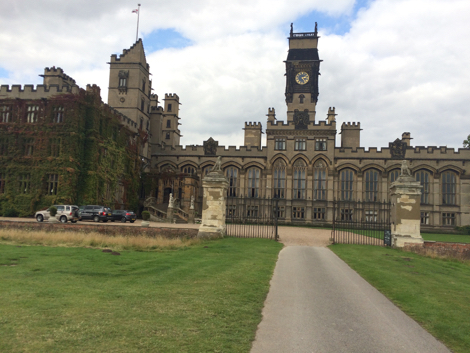 On Monday, Paul and I ventured out into the Yorkshire moors to visit ‘Cooks’, situated in the magnificent Carlton Towers. The drive was long, but as we turned into an extended, twisting driveway we knew that we were in for a treat. Our first impressions took our breath away. 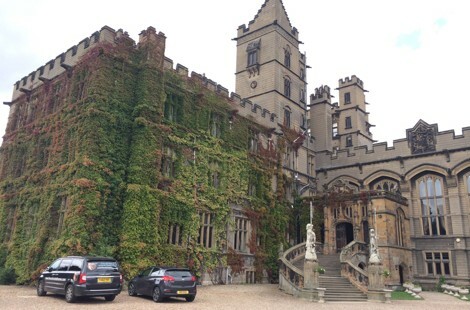 There’s a reason that Carlton Towers has been described as “majestic”: it looks like THIS! 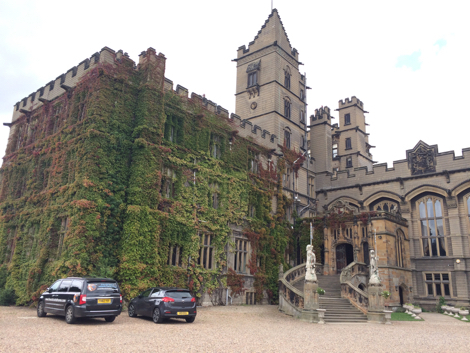 Carlton Towers, home to the Duke of Norfolk’s brother and sister-in-law, Lord and Lady Gerald Fitzalan Howard, is an ancestral building dating back to the 17th Century. It’s easy to see why the magnificent architecture, serene surrounding and family heritage of the building has a helped it through the centuries. Like many modern estates Carlton Towers has to pay it’s own way so the venue is used for weddings, accommodation and a variety of events. Whether you want afternoon tea, a party or a fine dining experience, Carlton Towers can house you easily. But that’s not why we were there! 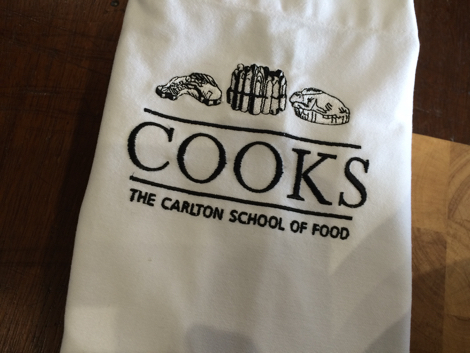 We were there for ‘Cooks’ – the Carlton School of Food. 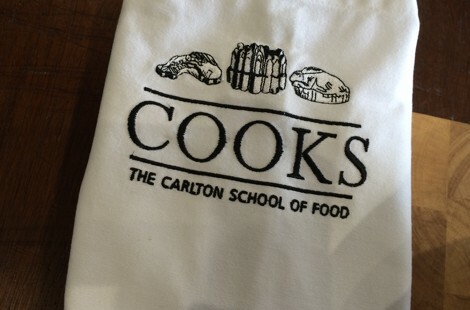 ‘Cooks’ – The Carlton School of Food. 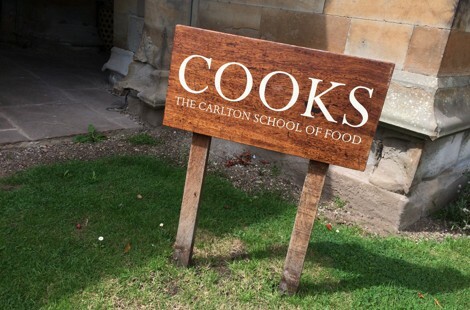 ‘Cooks at Carlton’ is styled as a cooking school different from the others: it’s in a stately home, it tailors its services for you and it’s described as a ‘place to discover food’. We were intrigued about the venues potential and what it had to offer for us here at Baltzersens, so the lovely Elaine Lemm showed us around. We were warmly greeted and led into the venue for ‘Cooks at Carlton’ and instantly, we were enthralled. Walking through the long corridors felt like we had been transported back in time, yet we were transported straight back to the here and now when we saw the school’s state-of-the-art kitchen. 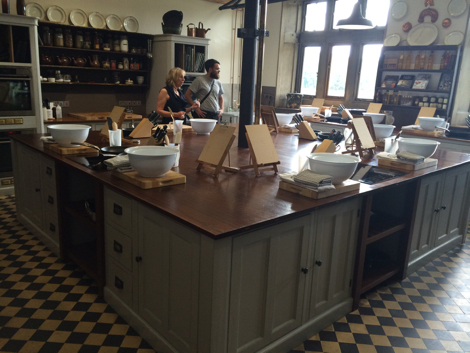 Elegant and sleek, the kitchen demonstrates ‘Cooks’ blend of historical character and modern facilities. We could sense the time and effort put into the planning of the school and we became quickly excited about how we could use the venue. We were not only shown the kitchen: we were led around some beautiful wedding suites, living areas and dining rooms, each of which blew us away! 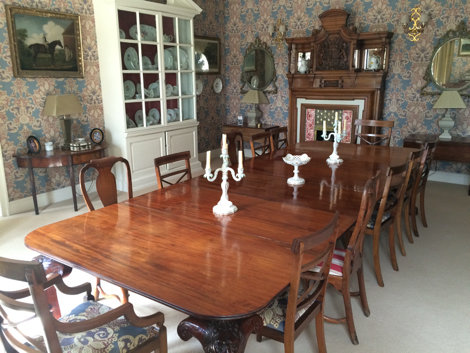 One of the dining rooms at ‘Carlton Towers’. Elaine immersed us in the house’s history and we learnt about a particular piece of furniture that has seated none other than Oliver Cromwell and a couple of popes! 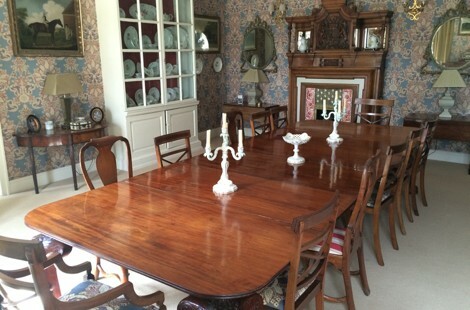 Who knew there was so much history in a house situated just off the M62? 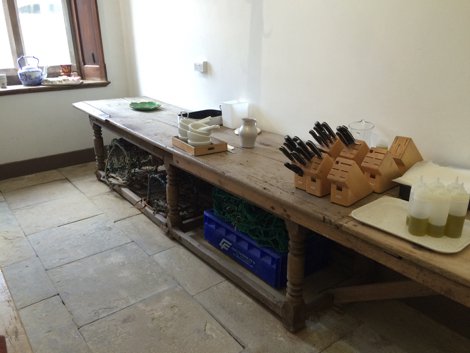 A table used by Oliver Cromwell and two popes! You can experience this for yourself as the house is open to paying guests, but we still haven’t fully answered the question: why exactly were we there? Recently, Paul was contacted about the opportunity of a partnership between Baltzersens/Norse and ‘Cooks at Carlton’. Intrigued as we were, we needed to scout the opportunity before jumping at it with open arms. 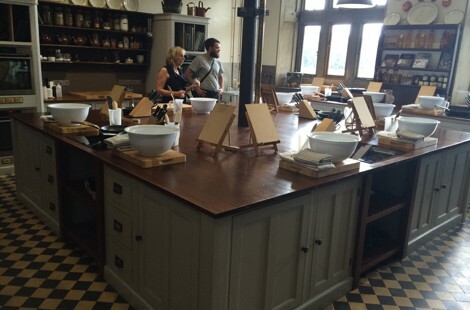 With the hope of developing a mutual relationship with the cooking school, we talked for a couple of hours about how we could offer our customers the chance to learn what we do, from us! Baltzersens aim to form an exciting relationship with ‘Cooks’. Hence our visit! We loved what we saw and now have many ideas in the pipeline that you will love. You’ll get the chance to learn our trade from our talented bakers and chefs as we aim to deliver courses and events at Carlton Towers. Cookery courses by our head-bakers and chefs are at the forefront of our minds at the moment (who wouldn’t want to learn the art of Scandinavian baking from head-baker Mary Jane?). We also spoke about themed courses – Christmas, Easter and so on – so that adults and children can get involved with Baltzersen’s at a pristine venue. I almost forgot to mention, you’d return home with a handful of Scandinavian treats made by yourselves. 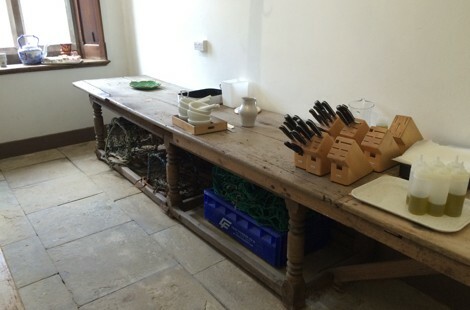 Great facilities in an incredible location are what Cooks at Carlton can offer; fun courses led by expert bakers and chefs are what we can offer. It really is that simple! Sound good? We certainly hope so! We are looking to begin planning these events in a few weeks time so make sure you keep a look out for future developments. But first, we want to know what you want to see! What kind of courses would you attend? What themed events would you like to see? Would you travel to Carlton to gain a course from our staff? Would you rather learn to bake or cook? Do you want high-octane courses or relaxed sessions with us? There are many questions that need answering and because your input is valuable to us here at Baltzersens, we need your input! Let us know how you would like to get involved and whether you have any ideas you could throw at us for our partnership with ‘Cooks at Carlton’. Thanks for reading such a long blog post, make sure you visit again in the near future for more ‘Baltzersens on Tour’ blogs. 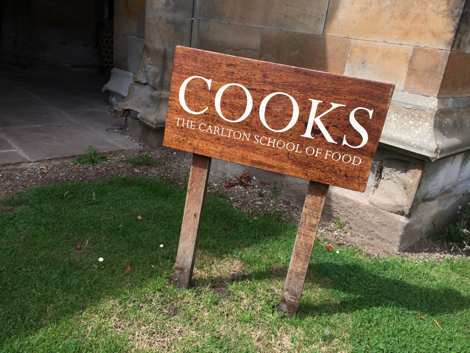 And don’t forget to let us know what you think about our potential partnership with ‘Cooks at Carlton’. Any thoughts are welcome! The beautiful architecture of ‘Carlton Towers’. Follow us on Facebook, Twitter and Instagram to keep updated! Having just eaten at Norse for the first time, I have to say how knocked out I was by the meals. I would certainly love to gain some background to their production and learn some of the skills. No doubt themed events are interesting and the baking is very good but my interest is primarily in cooking in the Norse style. 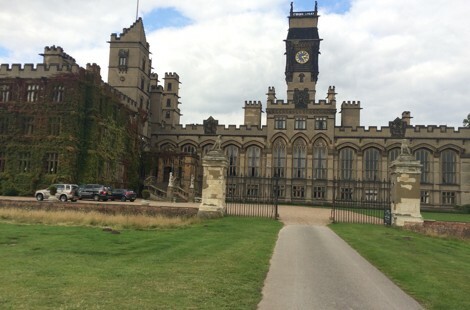 I live in Bradford and don’t think Carlton Towers is too far to travel for such an experience. Personally, as a real amateur cook, I want to learn and not play but don’t really want to be overwhelmed by a course designed for professionals. Please keep me in touch with developments.